Albert Whitman & Company, 9780807529553, 32pp. -It's my birthday. . . I can't wait Time for us to celebrate House is ready, Set for fun. Cake's the last thing, then we're done. 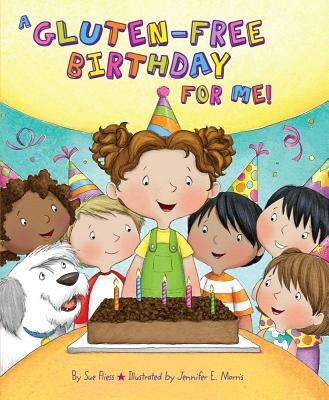 Can't use flour, Can't use wheat. . .That's got gluten What's to eat?- With bright and charming illustrations and sweet text, A Gluten-Free Birthday for Me is a celebration of being gluten-free.